Before reading this post, make sure you check out Part 1 of the best co-op games of the year 2018! My previous post focuses on Warhammer: Vermintide 2. 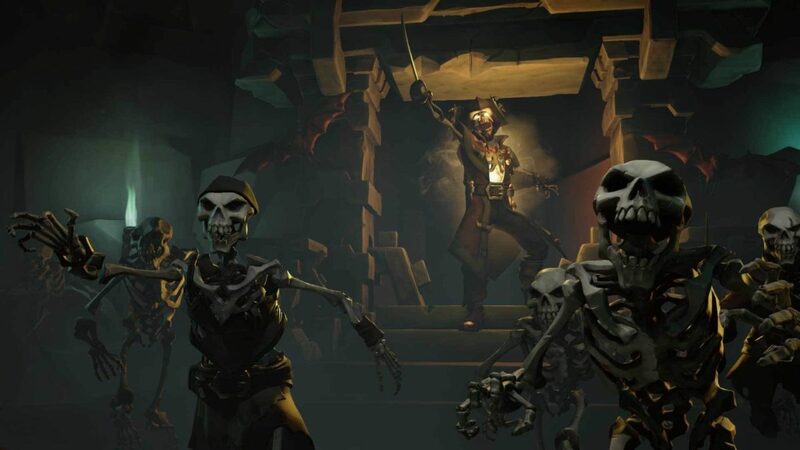 Also, you totally must check out what happened to me when I became a Ghost in the Realm of the Living in Sea of Thieves!!! Have you ever wanted to be a pirate? Not an online pirate you scallywag! A real swashbuckling, wood legged, parrot carrying, hook fingered, golden tooth pirate! Yarr!!! Well I got good news for you, the aspiring pirate! Both Sea of Thieves and Warhammer: Vermintide 2 were released on the same month of March in 2018. Both compete for the prestigious PopcornGamer title of being the best co-op game of 2018. 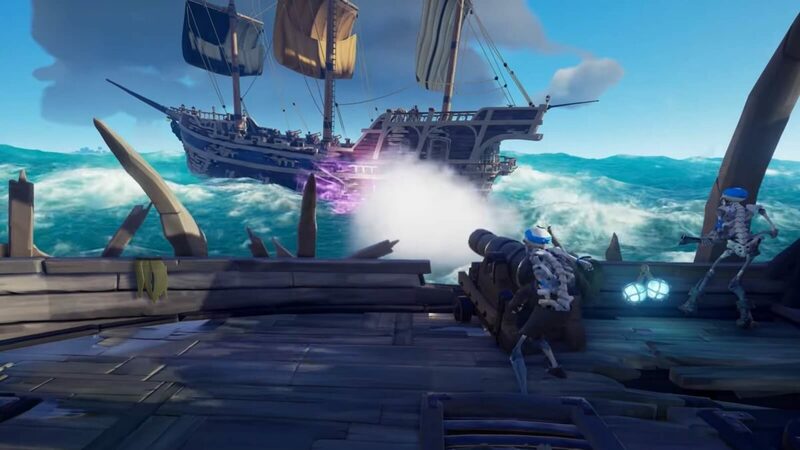 Sea of Thieves is a predominantly co-op multiplayer game in a very large map where pirates, AKA players, roam the high water mountains in search for treasures, adventure and plunder. At first, what will really strike you is the graphic style of the game. 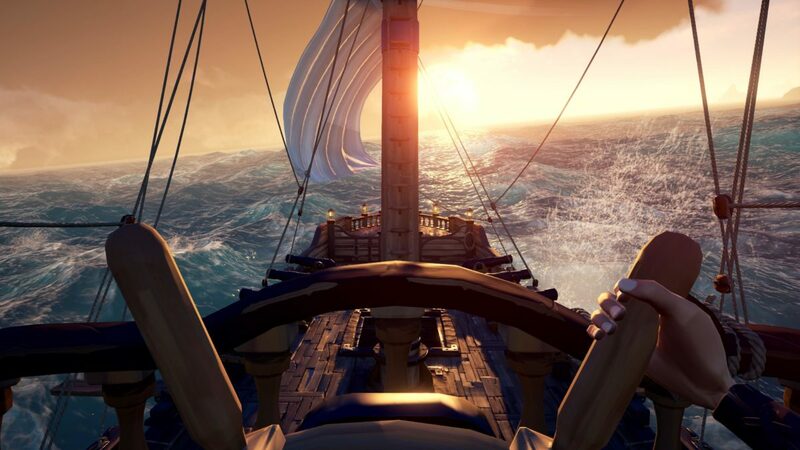 Sea of Thieves is ABSOLUTELY GORGEOUS. It features very clean and appealing graphics (unlike Atlas. Ew.). It really conveys a lighthearted, sunny and happy swashbuckling experience …an extreme opposite to the surprisingly gruesome Warhammer: Vermintide 2! Sea of Thieves feels like a simple game (maybe a wee bit too simple?). The game peppers the seas with tiny curious islands and it gives you a map or a riddle that you need to figure out in order to find a treasure chest. Oh… and remember: X marks the spot. A day in the life of a Pirate! You dig, dig, dig …until you hear a loud *THUMP!*. That wood casket is sure to bear all sorts of precious metals and gems! Your grin turns to grimace when you realize that you’ve angered the lost souls protecting that cursed chest! Now there’s a horde of skeletons rushing towards you. You can’t hit them while holding your precious chest… so you run back to your ship! When you hear the *clikety clack* that the banana-eating skeletons make while trying to catch you shiver slightly, but that doesn’t stop you. Once you are on your ship and you lower the ship’s sails it gently picks up speed and you wave at the skeletons that can’t figure out how to swim to get to you. You head towards the nearest outpost. It must be worth a fortune – you say to yourself! Still dreaming of the brand new hat that you’ll be able to buy with all that money, you fail to notice the dark sails that approach your ship from the East. Too late. *CRUSHCRACKSHHWSHSPSH!!! 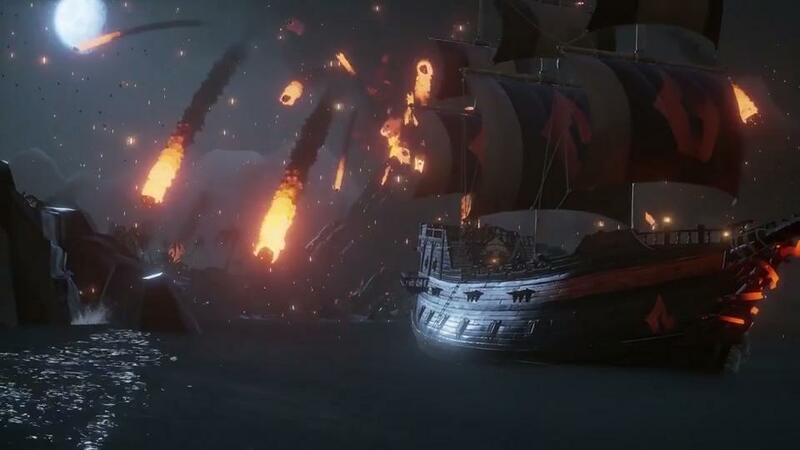 * – Your ship is being rammed from the side by a massive galleon. PIRATES! PIRAAATES!!! 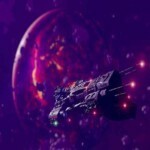 You rush to the lower deck to fix the geiser-like holes in the hull of your ship. The enemy cannons are roaring outside! You need to hurry the repairs and come back up to divert your ship from their firing lines! 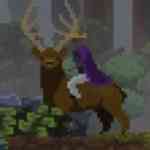 You turn around and a strange wood-legged pirate stands next to you. Sword in hand. “DUEL ME OR DIE” – he says. The request doesn’t really make much sense… but you rush to your sword and the fight begins. The dirty pirate lunges straight at you with very fast swings. All you can do is evade the massive sword spam. He hits you once… twice! But you still breathe! Putting the sword at an angle blocks his next attack and he is pushed back with a surprised stance! The enemy clearly has an advantage now that he has hit you but… dang it… you’re a pirate too! Rules mean little to you! You grab your pistol and BAM! shoot him in the empty eye socket! He falls to the ground and you rush to the helm and steer away from that despicable pirate’s ship. Apparently, in the midst of battle, they started being attacked by a mythical giant shark! It’s probably best to grab this opportunity and rush towards the nearest outpost and sell the treasure chest as quickly as possible before they dispatch the giant fish and catch up to you again! As you move away from the battle you feel a strong sense of relief! The sails are being raised and the battered ship will soon be safely parked at the dock. Selling the cursed Captain’s Chest earns you just the money you needed to buy that fancy hat that you were dreaming of. HA! The next time you encounter those pirates you’ll impress them with your brand new hat! Indeed, a gold hoarder like you needs to spend all of your hard earned money on something. They say that money can buy anything. Well, not in this game. Unfortunately, in Sea of Hats you are only able to buy cosmetic items! It is a shame because, if you’re like me, you dress like a very sleazy pirate (in fact, that’s how a proper pirate should dress like!). Once you own your favorite character outfit and ship equipment, there’s not much else to crave for. There’s no character progression, no skills, no weapon upgrades, no crafting or equipment upgrades for your ship, not even craftable banana sandwiches! This makes the game feel pointless at times. My in-game bank account is filled to the brim but I don’t feel like spending my gold on anything. And, to be honest, I feel like I’ve only been playing it whenever a new regular update comes along, bringing with it brand new content to explore. One could argue whether or not the lack of upgradable items is an issue if the game succeeds in entertaining you with every other aspect of it. The truth is that it would turn a great game into an amazing one. To have something to crave for… an objective that pushes the players into exploration and adventure. A game to be played… just for fun? We’re not used to that! It is kind of amazing to think that a great quality game from a large enough developer managed to avoid pay-to-win schemes or major grind systems. The truth is that it doesn’t feel like you’re grinding when you’re distracted by the fact that you are actually enjoying it. 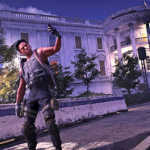 They focused solely on making a game that is fun to play and that brings people together. And they succeeded brilliantly. Even if the islands look very similar to eachother, the quests obvious, the monsters predictable and the combat too simple, there’s a lot of plain fun to be had with your friends. The emergent gameplay that comes from having PvP in the open world really drives you into incredibly epic battles with other players. Very seldom did I get angry for losing a fight, since the excitement you get from it is well worth the money lost. I must underline the need to play with friends. You will feel lonely playing it alone in your tiny sloop in such a large ocean. However, if you have no friends, you really don’t have to worry. It is SUPER easy to make new friends by playing this game with an open crew. The Sea of Thieves community is surprisingly friendly and they often ask you to add them to your contacts list. Almost everyone uses a microphone, which is critical to interact with other players when you’re busy repairing 13 holes in your sinking ship. 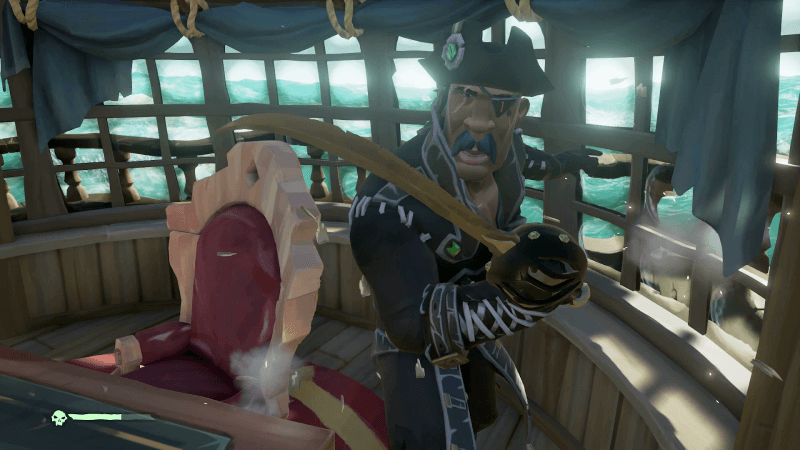 If for some strange reason you don’t own a microphone, you’re going to want to get one after playing Sea of Thieves. It is true, the game lacks content and diversity for its steep price, but they seem to keep adding new stuff every now and then which is well worth checking out regularly. I won’t lie. It is expensive for the content it provides. They claim that the price tag is worth it since you can use the same copy in Windows as well as Xbox. We both know however that it is uncommon for a gamer to buy the same game twice for different platforms. But considering the enjoyment you’ll get from playing it – it is still well worth it. Games aren’t perfect. They can’t make everyone happy. 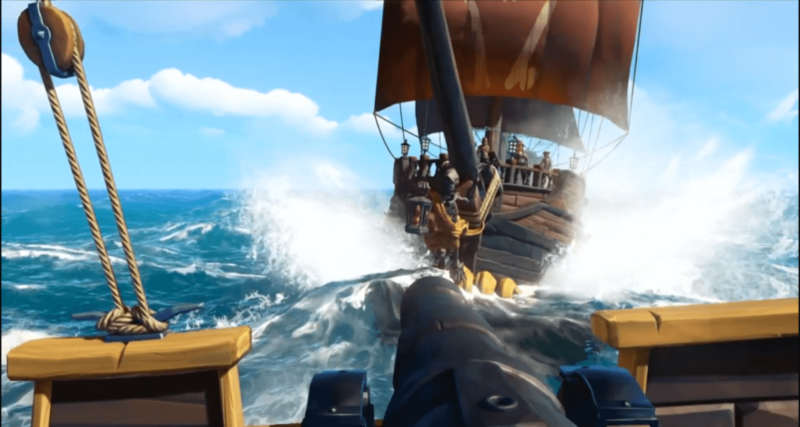 Sea of Thieves has got flaws. Every game has got flaws. But it brings something new to the table. And puts a grin on your face. If you’re looking for something innovative that features beautiful art, very polished gameplay and that guarantees laughter while meeting new people – this is it. Go get Sea of Thieves right now! And no, you do not want to play Atlas just because it is popular on Twitch. Get a better game instead. Any other game will do. 2018 was a great year for co-op games. Lots of new releases kept us well entertained throughout the whole year. Now we’re all looking forward towards 2019 upcoming releases. 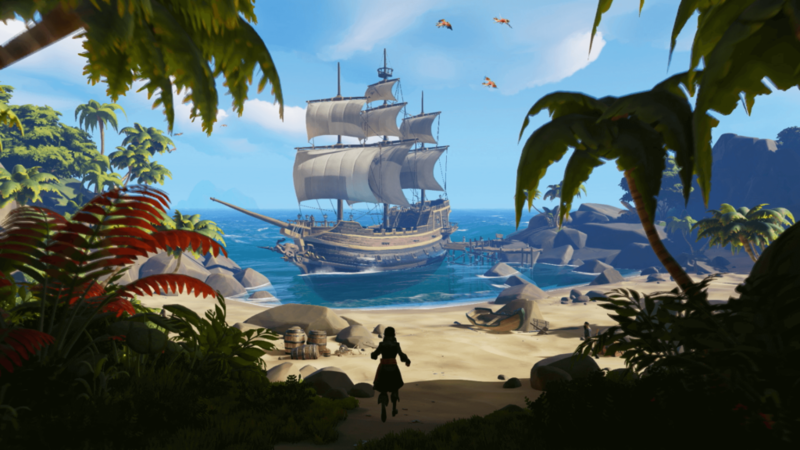 Sea of Thieves blatantly stands out as being the one that made me smile the most. And that is priceless. 5 out of 5 Pops! 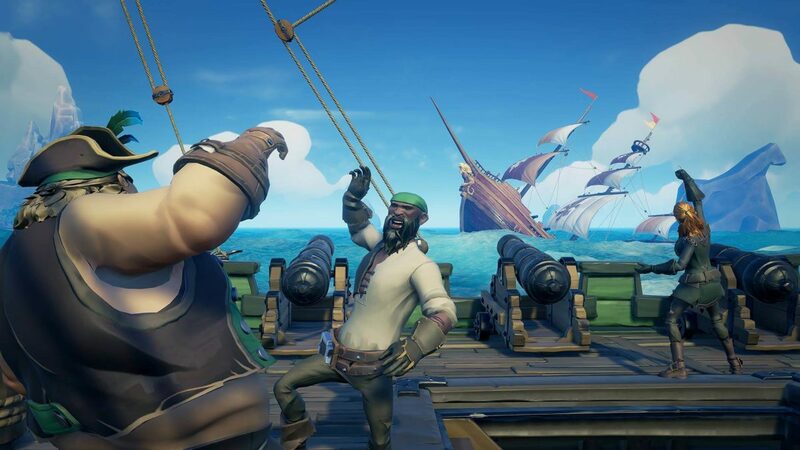 After much consideration and a strong competition by other great co-op games PopcornGamer declares that Sea of Thieves is the Best Co-op Game of 2018. Thank you for all the fun times I’ve had this year, Rare studios. If you would like to join me in Sea of Thieves, add me on Steam and use this referral link to get Sea of Thieves at a special discount price. Click here to check out Part 1 of the Best Co-op Games for 2018. 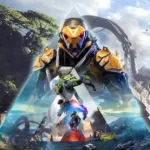 The most anticipated games of 2019 list is out! See if your favorite game is in there! Here's a list with my current most-wanted games for 2019! 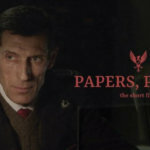 Papers, Please: The short …Film?